You need water shoes that offer comfort, stability and flexibility when you’re on the water all day, but what about when you’re unloading your kayak and traversing the rocky shore at the put in? These shoes are adept at both. With their amphibious, ultra-lightweight uppers and linings that promote ultra-fast drying, your feet will never feel waterlogged and heavy. Their Adaptive Wave-Siping™ outsoles disperse water underfoot to reduce slipping on both wet and dry surfaces so you’ll keep your grip no matter what the terrain. And, removable perforated footbeds work in concert with their EVA midsoles featuring internal water channels that allow water to escape faster and more efficiently. Instead of laces, an adjustable shockcord bungee system secures them to your feet and makes them quick to put on and take off. Imported. Amphibious, ultra-lightweight design (160 grams) enhances comfort for all day wear. Adaptive Wave-Siping™ disperses water underfoot to reduce slippage on wet or dry surfaces. 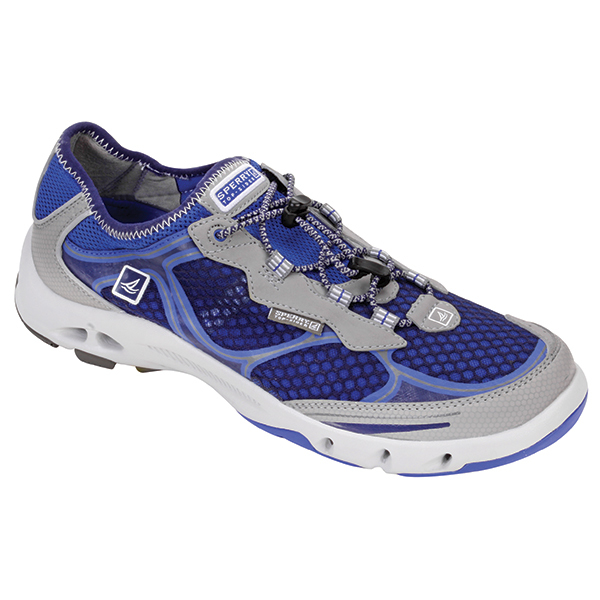 EVA Midsoles with internal water channels are comfortable, durable and feature drainage to help feet dry more quickly. Removable perforated foot bed works with internal water channels to allow water to escape faster and more efficiently. Uppers and linings promote ultra-fast drying. Adjustable bungee allows for secure wear and easy on and off.